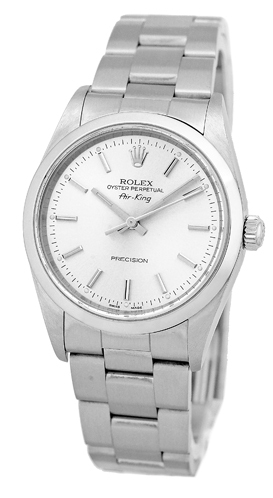 Certified Pre-Owned Gent's Stainless Steel Rolex "Air- King". 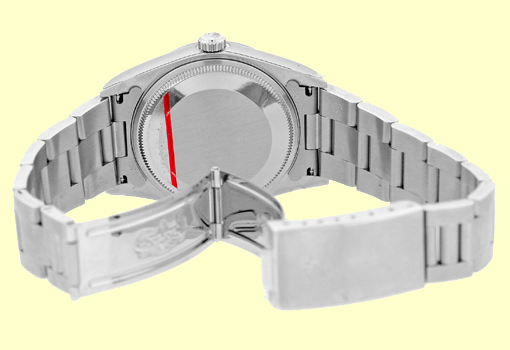 Silver Dial with Raised Silver Baton Hour Markers, and Sweep Second Hand. Stainless Steel Smooth Bezel, and Sapphire Crystal. 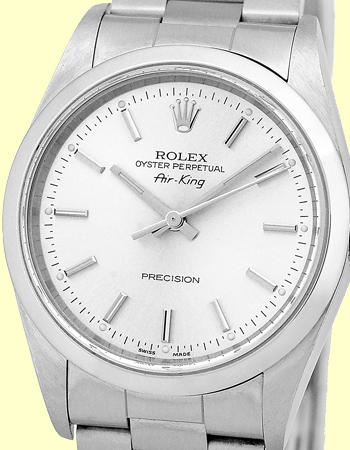 Matching Stainless Steel Rolex "Oyster" Bracelet. 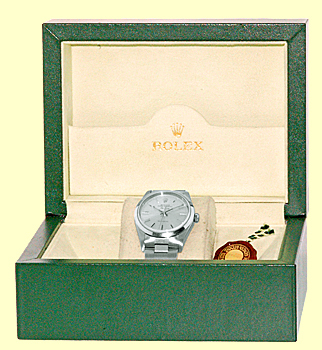 Like New Condition with Rolex Box and complete with Capetown's Lifetime Warranty! !